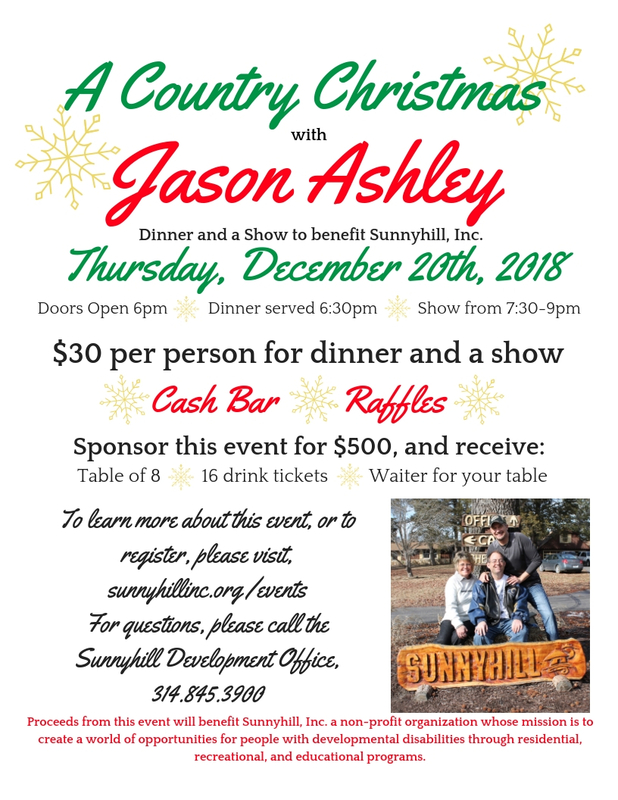 Give them your Christmas present early this year and join Sunnyhill at Sunnyhill Adventures, 6555 Sunlilt Way, Dittmer, 63023, on Thursday, December 20th for Dinner and a Show! $30 per person, or $500 to sponsor this event and receive a table of 8, 16 drink tickets, and a waiter for your table! Online registration has closed for this event. If you would like to register to attend, please call, 314.845.3900.